SPEND £60 on minis (ex postage) and receive them post free anywhere in the world! Anywhere in the World - ORDERS OVER £50 POST FREE! Siege equipment range expanded! Swedish Cavalry regiment deals! 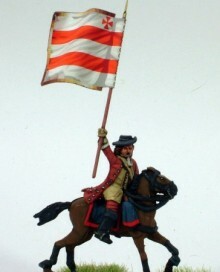 CAVALRY BARGAIN DEALS, BOOK PRICES LOWERED, NEW SHIRTS, FRENCH FIELD GUNS! FIRST CODES 36A-50B (30 CODES) Can now be preordered. Go to the shop and buy a book for Christmas! We have gone large on the armoured chappies! 33 Infantry flag sets covering 99 regiments, 20 battalion pack combinations! The rest of the artillery has arrived! The big guns are here! Have a look at these!!!!! FRENCH, BRITISH AND RUSSIAN MARKERS AVAILABLE AGAIN! We've found a place in DERBY! Get a peek at some of the superb sculpts currently being mastered. If you have ordered and are at the show, you should be able to pick up! R2E WEEKENDER... THE SHOCKING TRUTH! Get the latest updates for BLB FREE!